In a survey undertaken in the framework of this research among 25 European importers and consultants the resource persons indicated highest market demand for product groups such as recycled products, bags, home textiles, scarves and other textile accessories, basketry, seasonal decoration as well as wooden items, while less demand was expressed for small bamboo and rattan furniture, carpets, paintings, sculptures etc. The resource persons provided detailed information on competitive prices for a number of products and provided feedback on import experience with Cambodia, Laos and Myanmar. They suggested that Cambodia, Laos and Myanmar should not try to compete with cheap products from China or India. Instead, the countries should focus on high quality, own style and functional, unique, contemporary design as well as sustainable materials. Among the three countries Cambodia, Laos and Myanmar that were part of this research, Laos has by far the smallest export of home decoration, home textiles and gifts to the European market with a value of $0.391 million only for selected HS codes in 2015, while imports from Cambodia were at $44.874 million and from Myanmar at $12.396 million. The dominating product groups of home decoration, home textiles and gifts imported from Laos to Europe are 1) suitcases, bags, wallets and 2) scarves and accessories of textile materials. While the export of suitcases, bags and wallets to Europe increased strongly in the last five years, the export of scarves and accessories of textile material decreased. Besides these two product groups, the export of all other product groups is insignificant. The main European import countries in 2015 were Switzerland, France and Germany. Laos has a population of 6.8 million people and a gross national income of US$1,730 per capita, which is relatively high compared to Cambodia and Myanmar. However, the poverty rate is also still relatively high with 23.3% in 2012/2013 according to the poverty headcount ratio at national poverty line level. The Department of Handicraft Promotion at the Ministry of Industry and Commerce in Vientiane estimates that the handicraft sector counts about 20,000 family firms, thereof 1,300 small firms, 52 enterprises and 10 big factories. 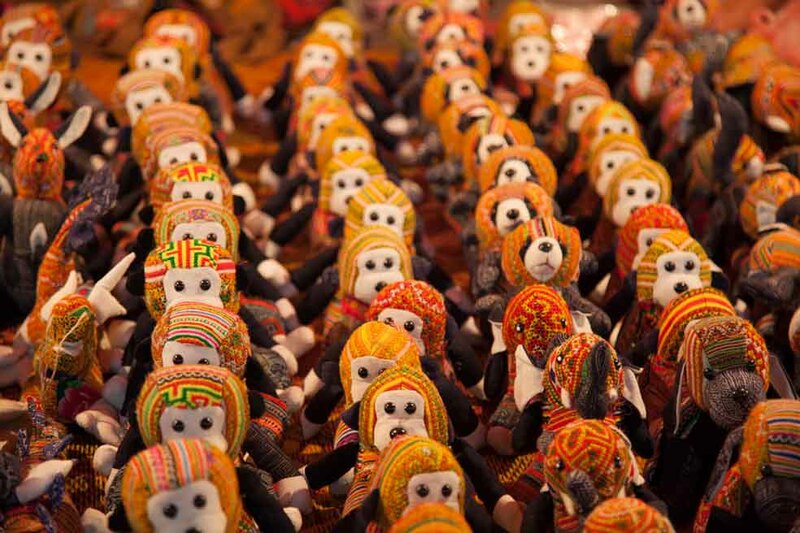 The main product group of home decoration, home textiles and gifts produced in Laos are textiles. 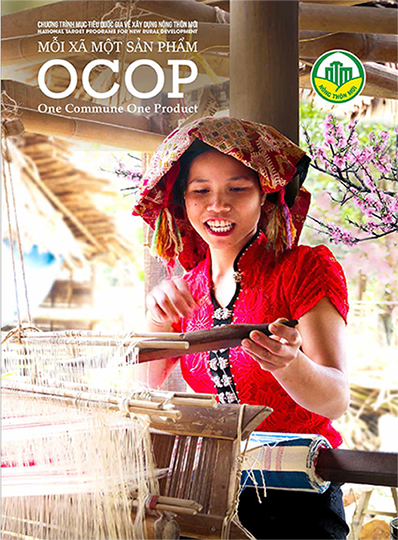 In 2012, 70% of the members of the Lao Handicraft Association were working with textiles. The companies are largely focusing on handmade production. Laos is strong on silk and cotton textiles; both are equally important. Laos is known for its very skilful weavers and intricate weaving patterns. The number of home-based weavers is very large; most rural households are said to have a weaving loom. Besides silk, cotton becomes more and more popular, particularly in combination with indigo dyes for the tourist market. A number of small and medium enterprises have a larger number of looms. The number of small and medium enterprises with more than 10 looms is estimated to be 500. Out of about 1,000 small and medium companies trading textile products, only very few are exporting. However, out of 14 textile companies assessed in the framework of this study, 13 report ongoing export activities. The most common Non-Timber Forest Products (NTFP) are rattan, bamboo and a local fibre called Pied. Laos still has abundant NTFP raw material resources. All quota for rattan and bamboo harvesting are currently suspended, though it is expected that this will change soon. There are about 50 small and medium enterprises, thereof a few with FSC certification due to support from the World Wide Fund for Nature (WWF). Employment in rattan weaving is estimated to 150 weavers, while more people are employed in bamboo processing. Only one FSC certified company is exporting rattan ware at pilot project level. An interesting raw material is the natural fibre Pied, which is used for making bags, purses and other small accessories. The wood industry is also affected by the current suspension of harvesting permits. In case of wood it is however expected that this situation will last longer. Currently, only the use of teak and acacia from plantations is allowed. There is one integrated company producing mainly floor tiles and furniture, but also some accessories like trays, small boxes and laundry baskets based on teak wood from their own plantation. The company with a European investor and 250 workers has quite high turnover and exports 90% of its production, part of it also to the European market.